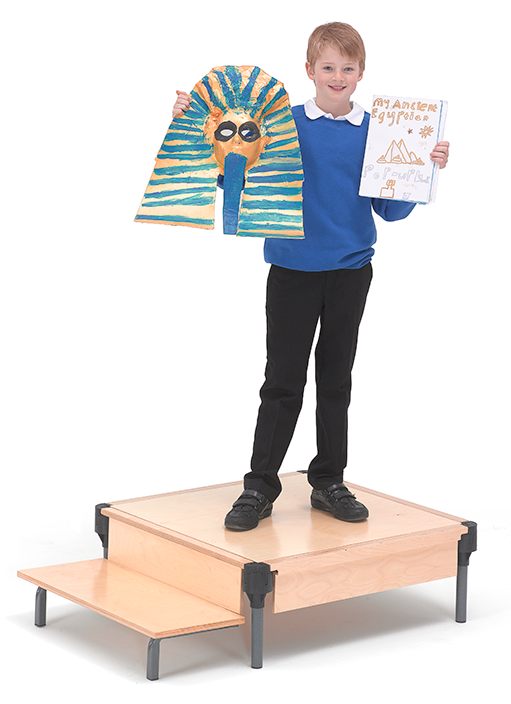 Gratnells Stage offers schools a variety of mini staging formats which can be easily used and stored in the classroom. Giving children a stage or platform on which to present, display and share their abilities with class and schoolmates helps promote the abilities of every child whether academic, creative or practical. The introduction of ‘Step-Up’ mini staging modules makes this an easy thing to facilitate, with an in-classroom unit that offers visibility. 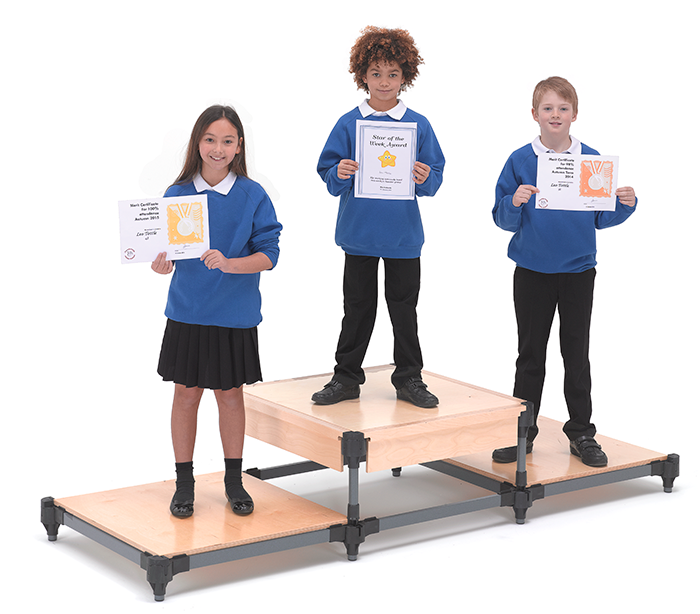 A presentation platform and several classroom packs can be consolidated into a bigger format when a major production, in an assembly hall, is planned. With a mini-stage that can be used every day and stored in a corner of the classroom, teachers have the resource to let every child experience the thrill of being a celebrity in front of their peer groups. It really doesn’t matter what the skill on show is – it can be something relatively passive like displaying a piece of outstanding artwork or a vibrant performance of a musical solo piece. ‘Step-Up’ provides a focal point to recognise and reward good work in all its forms. Teachers can stage impromptu events as easily as planned ones and the familiarity of the unit permanently in the classroom helps overcome any anxiety for the child.